How many of your friends actually own a Virtual reality headset, be it HoloLens, Project Morpheus, Vive and the famous Oculus Rift? 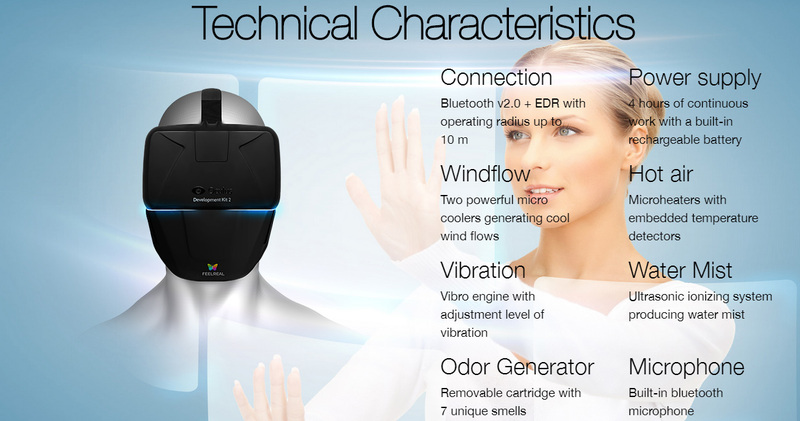 VR headsets havn’t taken off in the markets yet and now there’s already a huge big technological leap coming ahead where users would not only be able to see and hear but also feel and smell. Enter FeelReal. The name itself already gives you an idea on what it’s all about. The teaser video posted at the top specifically tells you what you would actualyl be experiencing. FeelReal will be a new VR accessory which is designed to simulate different sensations and scnents. 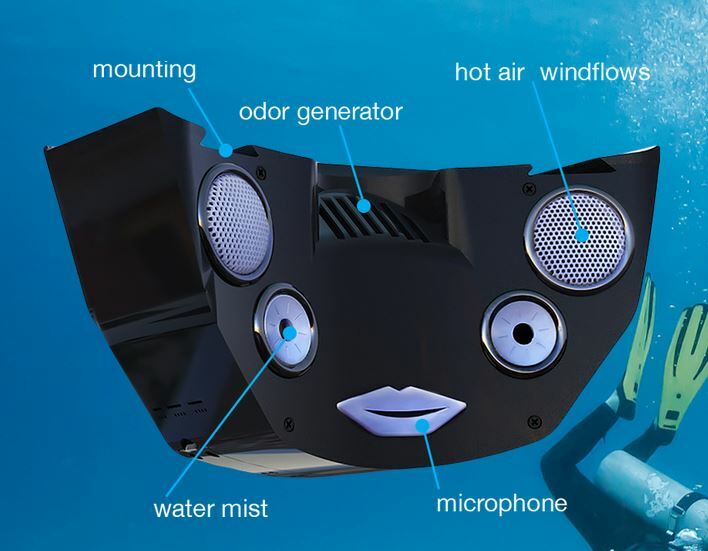 For current VR headsets, users normally have their eyes covered but in the case of FeelReal, they would have to wear this huge vibrating mask which has the following features where users would be able to feel cold, hot, smell jungle etc. Good thing, FeelReal isn’t a sperate new product as it would actually need to pair with existing headsets such as Samsung Gear VR or Oculus rift via bluetooth to sync up with what the user will be seeing and smelling. If you’re looking forward to buying it, head over to their pre-order page. The accessory has a price tag of $249 along wtith free cartridges of ‘smell’. I doubt how long an user would actually be having this huge mask on their face as it literally looks suffocating. Oh well, if the experience is good, there’s a high chance the use would keep on wearing it as it would give the feel of being in another new world.